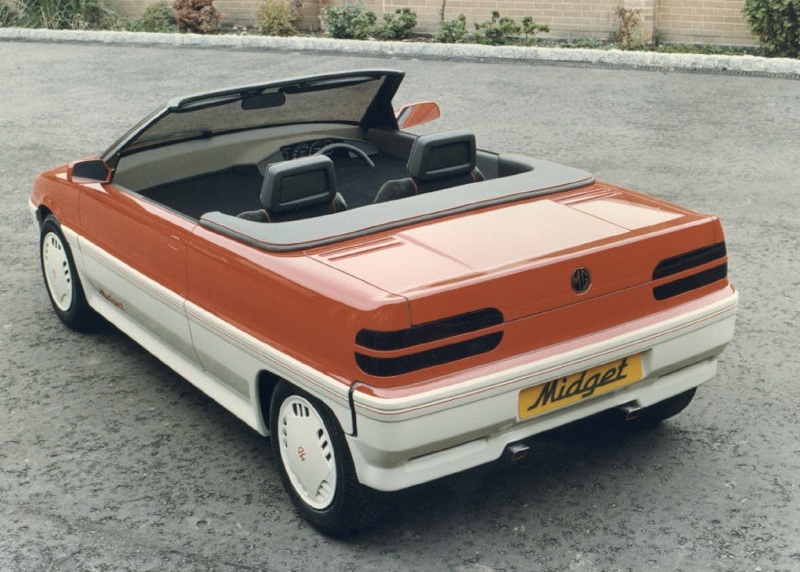 In 1985 the MG Midget with its classic lines, had only been out of production for 5 years when this concept was released. The brief was to create a spiritual successor to that iconic car, however there’s always a catch, it had to utilise as many existing parts as possible. It shared its chassis with the AR6 concept. 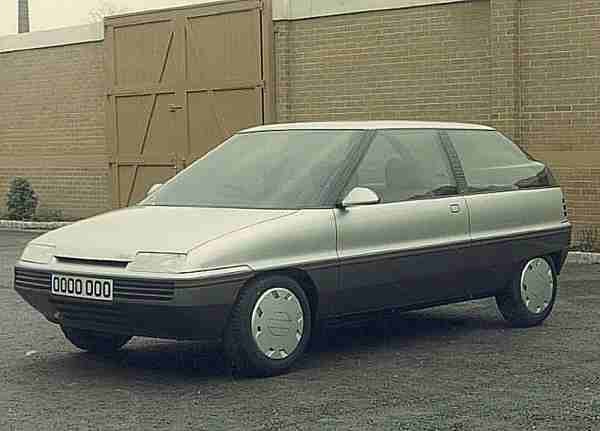 To be honest it took most of its styling from it as well. 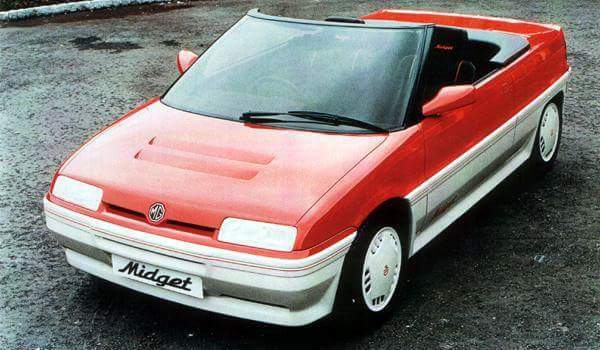 It was however fitted with the 1.4ltr K Series engine so at least the handling and performance characteristics should have been in keeping with its predecessor. 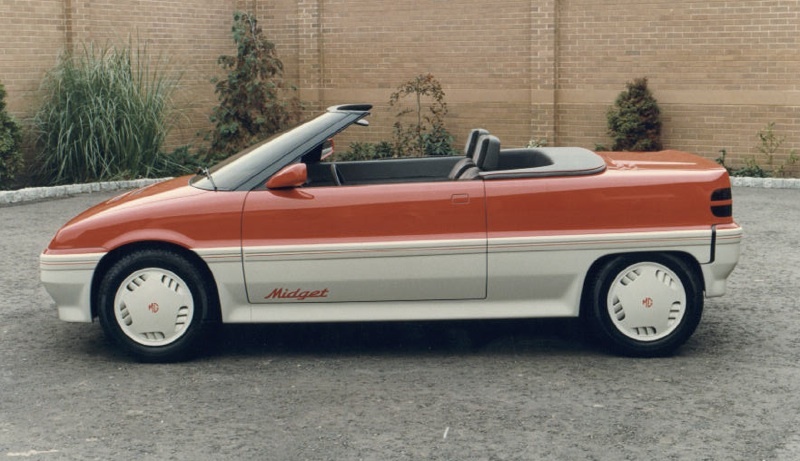 I often go on about the “what if’s” in the history of Rover/MG however I’m glad this didn’t make production leaving the way for the mid engined MGF 10 year later. I think it would have been seen as a smaller younger brother to the Rover 200 series convertible due to its boxy styling. Great submit, very impressive. Awesome collection you put in your blog. actually i was searching for best website for used cars UK, and i found your blog in the list.. nice information you have about MG Midget cars.. Nice read..